Viber is one of the most popular instant messaging apps over the year; it enables its users to do phone calls, text messages to their fellow Viber users free of cost. The social networking app works with the help of internet in order to provide you communication facility. It particularly is very famous among young teens who have limited balance, but the social app enables teens to free access to effective communication usually a serious concern for parents. That’s why it led parents to track monitor Viber messages and calls on their mobile phone devices. On the other hand in a business organization, the employees also used to of making calls and doing text messages on Viber app on their company’s owned phones and waste precious time within the working hours. The employees who use the instant messaging app such as Viber don’t get caught while wasting the time of the company. In spite of making calls on company’s owned devices don’t cost anything to the company, but the time. Employers can monitor calls and text messages, emails and multimedia within the working hours by using the Viber spy. 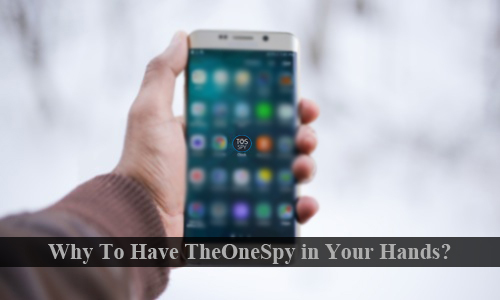 Parents can also spy on every single activity of kids and teens with the help of cell phone spy app. Why is it Difficult for parents to monitor teens? The contemporary technology and new inventions make a tough call for parents to remain update regarding the modern trends in their teen’s life. When kids and teens get their hands on cyber space without putting a wire, it is impossible for parents to keep a tab on activities such as what they are exactly doing and whom they are talking to on their cell phone devices. Therefore, parents have to apply strict parental control on their kids and teens. Viber social messaging app is one of the latest trends in the modern world for teens to communicate online and a type of service which enables the user to do calls, messages by using their cell phones devices. Let’s discuss why it is important to keep an eye on teens through Viber spy app. Why Spy on Teens through Viber spy software? There are plenty of reasons involved in monitoring when you teens are using Viber social messaging app on their phones. The modern technology has provided our young generation unlimited access to the internet and it means they are very close to the online social issues which reside in the modern world such as cyber bullying, cyber stalking, carnal content and addiction of text messaging all day long, calls and sharing photos and videos without having prior knowledge whom they are sending it to. Young teens may be talking to the people you would not prefer to, or with those even you don’t about them. You will be able to get to know that that they are talking too and what are the purposes behind the conversations made by your young kids and teens. Parents will be able to know the potentially dangerous conversations happen and they will be able to intervene at very before it got worse. Parents can easily come to know that if someone is bullying your child online which your young teens scared to discuss with you. However, with the usage of spy app for Viber parents will come to know that how kids and teens are using Viber and all the updates will give you a complete peace of mind. Is tracking Viber only for Parents? While Viber is usually used by the teens and kids, not only parents should monitor the social networking app in order to safeguard teens. It is also predominantly used by the employees within the working hours in order to make calls, text messages and share multi media within working hours. It led employers to track the Viber instant messaging app in order to pick out the lazy ones that are not loyal to their work and damaging the company due to their low productivity. What is Viber actually capable of? The rain of instant messengers and their availability to our teens, most of the parents are not tech-savvy therefore, they are not aware of modern digital social apps. Viber is very popular instant messenger among kids and teen, therefore parents should have a deep knowledge about this particular social messaging app. It is an instant messaging app which is supported by the phone, tablets, and on many other devices and allows a user to both text messages and Voice calls with the help of internet. It is free to download from Google play store. Parents want to check kids and teens emails, text messages in order to prevent them from Viber dangers. They can safeguard kids and teens while engaging themselves in vulnerable chat and conversations. They just need to use track Viber messenger app, it enables parents to get their hands on Viber contact list, track Viber chats and read complete conversations, view date and time logs for every single chat, user can access Viber Calls along with the detail of day and time of taken place and read call logs, directly through your dashboard. Parents should not underestimate the potential dangers of Viber social networking app. They can protect kids and teens from all digital social problems by using the Viber monitoring app. Monitor calls and text messages, emails, and multimedia by using the Viber spy. Parents can spy on every single activity of kids and teens with the help of cell phone spy app.